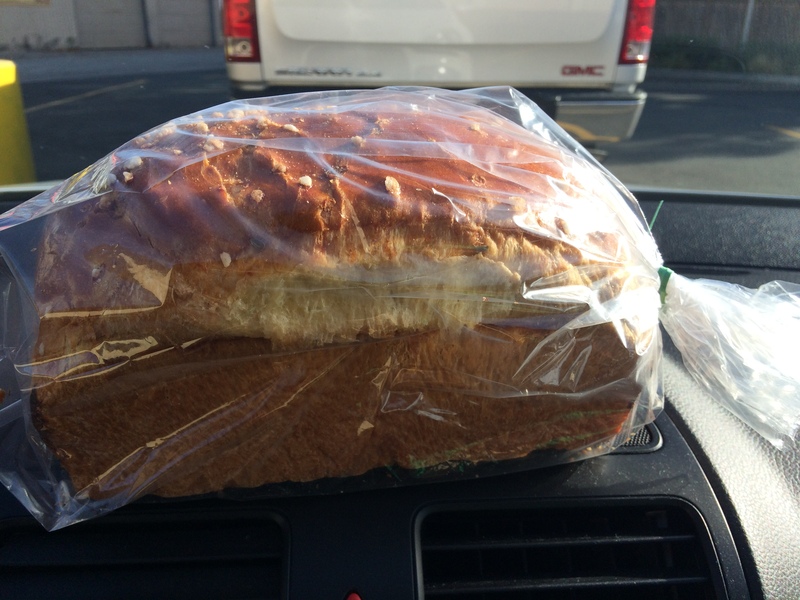 When I get on the road at lunchtime, I’ll often pick up a loaf of bread to eat while I drive. I tried this brioche from Bread and Cie for the first time, expecting it to be really good. But it was drier than I thought it would be, as I expected the egg and sugar to make it really delicious. They must really try to make this healthy, since the nutritional info claims only 25g of fat for the whole loaf. Anyways, I ate half the loaf driving to my destination, and the rest on the way back home that night. I also ate more bread, tortillas, and noodles. I always try to keep the fat intake below 50g/day, which means you have to check all labels and know all the ingredients in your food. Luckily, you don’t have to count calories, nor worry about whole grains, or that “carbs make you fat”. Who’s afraid of a loaf of bread? Hey Steve, Sofia here… I just cooked up some fresh buckwheat noodles mixed with homemade broth, nappa cabbage, bok choy, and maui sweet onions. Yum! Yum! Is that along the same lines as your approach? It feels heavy? I’ve tried buckwheat noodles (Japanese Soba noodles). I think they’re better in a cold noodle salad dish than a hot soup. I prefer thick, doughy noodles made from refined wheat flour!